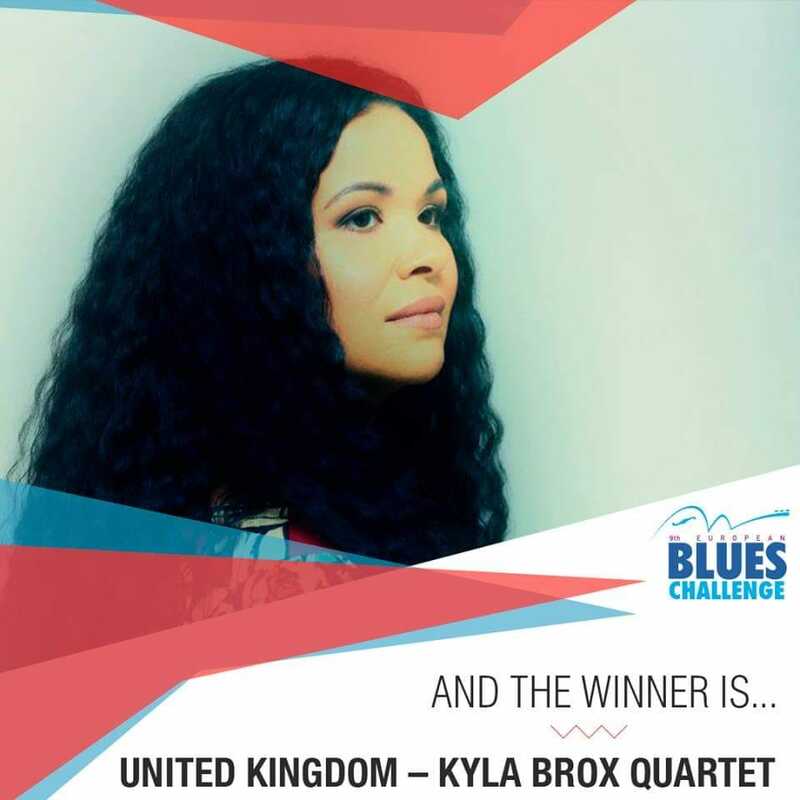 UKBlues Federation was delighted when Kyla Brox and her Band were chosen to represent UK Blues at the 2018 UKBlues Challenge held September at The Southern Pier Pavilion, Worthing. Kyla and her band have been flying the flag of British Blues since then. A semi-finalist at International Blues Challenge in Memphis, saw audiences entranced by her vocals and the band’s prowess. With a release of the critically acclaimed album Pain and Glory 2019 is becoming a watermark for the band. Now the icing on the cake Kyla, Dan, Paul & Mark were hugely popular winners of the European Blues Challenge held in Ponta Delgada on the beautiful Azores island of Sao Miguel. and really blew away the opposition and it seemed to be the general consensus that Kyla was a runaway winner. Bluesdoodles send our warm congratulations and will continue to follow her music. UKBlues Federation are immensely proud of Kyla and her band and thank her for dedicating both her set at the EBC and her win to our late friend and colleague, Dave Raven. As part of the ‘prize’ for winning, the band will receive invites to play at nine major festivals around Europe. Ashwyn Smyth, Chairman UKBlues Federation was in The Azores on Saturday 6th April, to here the performance and be one of the first to congratulate Kya on her success. Ashywn says, “but that should not detract from the fact that there were a number of other very good bands competing”. Second were Norway’s Geir Bertheussen Blues Express with The Netherland’s Dynamite Blues Band a popular third. Ashwyn Smyth, “Other bands that very much caught my eye and ear were Black Cat Biscuit from Belgium, Smooth Gentlemen from Poland Marino Valle Band from Sweden and Tony Bigmouth Pearson from Austria”. With 22 bands to play over two evenings and proceedings not starting until 21.00 local time, 22.00 BST, there were an awful lot of very tired and bleary eyed folk at breakfast Sunday morning! Congratulations must go to everyone involved in making this great event happen but special congratulations to Kyla and her guys for doing us proud. This is the fourth time that the UKBlues Federation has run the selection process to choose a band to go to the EBC and the second time the UK has won!! As already announced, the 2019 UKBlues Challenge will take place on Saturday 14th September 2019 at the Bluefunk Rhythm & Blues Club, Poynton. and we will be introducing the four contestants selected through the recent nomination process very soon.